We have been listening to so many tales of woe about our Mother Earth that it seems like a daunting task for any of us to have hope that the human race will be in existence for another hundred years. We hear about the extinction of species, the melting polar caps and the huge islands of plastic waste floating in our oceans. In all of the media coverage that we see and hear, is there anything that’s good that is happening? Are our efforts to help just being met with more problems? Actually, there are a few positive things happening and we need to share it so that we can have hope that we are moving in the right direction. There has been an historic problem with PCB’s and other toxic chemicals for the poor Norwegian polar bears. It seems that new studies are showing not only a drop in these chemicals but a significant decrease (around fifty nine percent in the new cubs and fifty five percent in their mothers). The study was taken from 1998 through 2008 and is actually proving that the international ban on the toxic PCB’s is truly working. 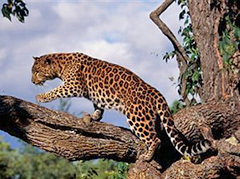 There are only thirty Amur leopards left in existence. The good news for these cats is that they now have a 650,000 acre national park in the far east area of Russia called The Land of the Leopard National Park. Some of these rare cats cross over into China and there are plans to try to establish a more expanded habitat area via The World Wildlife Fund. Washington DC based Global Environmental Facility is responsible for some of the largest trust fund allocations for conservation. The one that seems to be topping the list is a protection proposal for around five percent of the ocean territory in Brazil. This project is designed to create what is being called the ‘blue forest’ in the ocean for the long term study of carbon storage in mangrove and coral ecosystems. New Zealand was once the home of the Southern right whale with thousands using the area as grounds for their calving. That was over one hundred years ago and, with the onset of the whaling industry; the assumption was that the right whale population had forgotten how to return to New Zealand. A new study however, may be changing that. An international team has recently published that there is a group of what they believe to be the descendants of the whales that lived off of the coast of New Zealand that are returning. This genetically-distinct group comprised of just a couple of dozen in 2005, but may be the beginning of their return. The Arabian Onyx was one of the most shameful stories in mankind’s history. Hunted and killed, they were thought to be extinct in the wild when the last one in Oman was shot. Efforts kicked into gear with Operation Onyx, a collaborative effort with Fauna & Flora International, the Phoenix Zoo and the World Wildlife Fund. Thanks to this project there are now one thousand individual Arabian Onyx living in the wild. Their status, thanks to the valiant efforts of all of these organizations, has changed from “Extinct in the Wild” to the status of “Vulnerable”. Worries and concerns will be lifted when they elevate two more levels to the “Least Concern” area. What Is Asbestos and How Can It Be Avoided? Posted on August 16th under Global Ecology.